> The Brewers once again handled the Cubs today, taking them down 5-2. Marco Estrada finally got his first win of the season that he probably should have had a few months ago, but it took this long for the bullpen to hold serve for him. The Brewers’ first run came in the fourth on a bases-loaded infield single from Corey Hart. It was the first hit of the night given up by Cubs starter Chris Rusin, who was making his big league debut. That was all the Brewers got that inning, but they received a gift run in the sixth on a bases-loaded wild pitch by Alberto Cabrera. The pitch after that, Jonathan Lucroy smacked a two-RBI double to extend the Brewers lead. The Brewers also got a run in the eighth on Carlos Gomez’s RBI single. The Brewers carried a 5-0 lead into the ninth inning, but, naturally, the game had to end on a shaky note. Manny Parra could only record one out and allowed two baserunners, so Ron Roenicke went to Jim Henderson. He recorded the second out, but Roenicke decided to give the easy save opportunity to John Axford, who came in and converted the one-out opportunity. > Everyone remembers when the Angels made a splash at the Trade Deadline, acquiring Zack Greinke from the Brewers in the first blockbuster deal of this year’s deadline. The Brewers got Jean Segura in return, who would be part of their future plans, but the centerpiece was obviously Greinke, who everyone thought would make the Angels have the scariest rotation in baseball. Not so much. Greinke has struggled mightily in his first five starts for the Angels, posting a 1-2 record with an ugly 6.19 ERA. When Greinke went to the Angels, his ERA on the season was 3.44, but, after allowing six runs in six innings to the Rays yesterday, his ERA has ballooned to 4.01. Writers are tossing around many different reasons for Greinke’s struggles early in his Angels tenure, but I think there are two logical explanations. The first is Greinke’s social anxiety disorder. He was spoiled that the first two teams he was with- the Brewers and Royals- were located in two of the smallest media market cities in baseball. But Los Angeles is a different story. At first glance, it might not look like it’s a pressure-packed place to play, given the struggles of the Angels and Dodgers in recent years. But, LA is considered the second-largest media market in baseball after New York, so you can bet the media hounds the players and managers there. Greinke could very well be succumbing to the pressure he’s never felt before. That makes you wonder why he didn’t stay and try to agree to an extension in Milwaukee, or even Kansas City. Greinke made it clear that he wanted to win, but probably not at the price of his anxiety acting up. My second, and more likely, theory is that Greinke is off to another slow start with a new organization. Keep in mind Greinke was horrible during the first half of 2011 (his first year in Milwaukee), posting a 5.66 ERA prior to the All-Star break, but was one of the best pitchers in baseball during the second half. This could be happening to him again, but he doesn’t have an entire half to get adjusted this time. I have a feeling that Greinke’s struggles are due to a little bit of both of these theories- for instance, the disorder could be what causes his slow start with new organizations. But it’s definitely not all on Greinke; the Angels’ pitching staff as a whole has been atrocious in August. Coming into play tonight, they had a 6.76 ERA in August, by far their worst ERA of any month this years. And it’s mostly because of the starters. Along with Greinke’s struggles, C.J. Wilson hasn’t won since the All-Star break. After a great comeback year last year, Dan Haren is struggling with injuries and consistency again this year. Ervin Santana is having the worst year of his career. Heck, even Jered Weaver gave up nine earned runs the other day- to the Mariners. So something’s definitely wrong down in LA. > Shaun Marcum threw six innings and gave up one earned run in his final rehab start last night, so he should be set to make his first start since early June in the upcoming Pittsburgh series. > Mike Fiers and Mark Rogers, the current targets of the Brewers’ innings-limit philosophy, will still make multiple starts before their limits come into play, according to Roenicke. 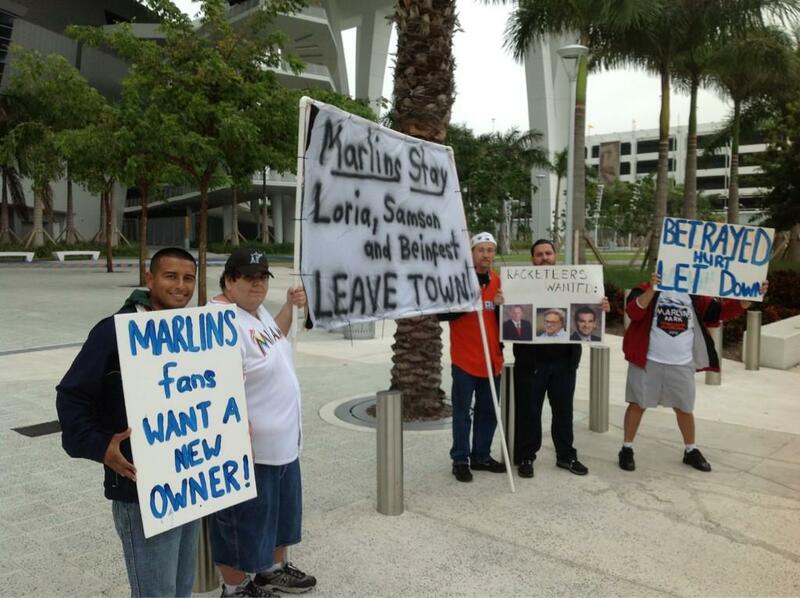 But the Brewers will probably make up for that by limiting their pitch counts. > MLB Trade Rumors confirmed that Hart has said he’d like to stay with the Brewers after his current contract runs out. > Estrada and Rogers each received their first win of the season on back-to-back nights. Estrada was stellar tonight, going six innings while striking out nine. > Kameron Loe looked flat-out nasty tonight, tossing a scoreless inning with two K’s. He’s on one of the rolls where his sinker is just untouchable. > Rusin had a strange debut. 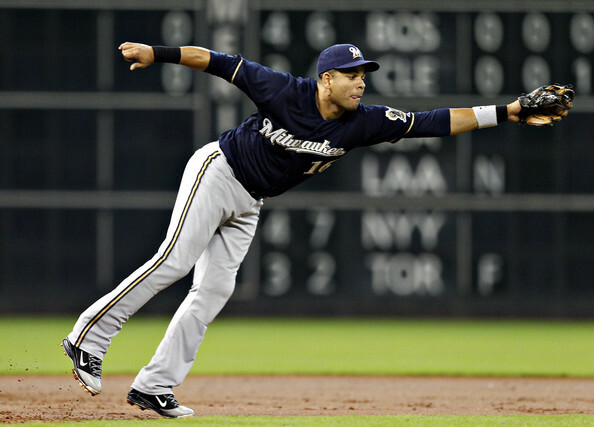 He retired the Brewers nine-up, nine-down in his first run-through of the lineup. He wound up giving up just one hit in five innings, but still took the loss because walks and hit-by-pitches came around to score. > Speaking of HBPs, the Brewers were hit three more times tonight, including Norichika Aoki getting hit twice. As always, they lead the Majors in HBPs by a landslide. But, they’re last in the league in hitting batters. Shows what kind of manager we have. Wood dominated the Brewers during his Reds tenure, but has been a different pitcher since. 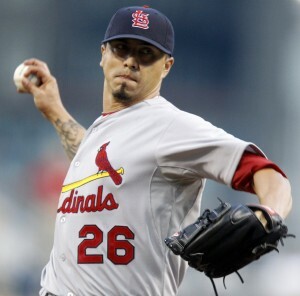 In Gallardo’s last start against the Cubs, he went six innings while striking out 10, but also gave up five earnies. > You’ll be seeing this Segura play all night. > Reds prospect Billy Hamilton stole his 147th bag of the year. I’m still confused too. > It was certainly a day of mixed feelings. The Brewers finally won a game, shutting out the Nationals, 6-0. Mike Fiers was absolutely dominant once again, the Brewers offense came alive (like it actually was in Philadelphia), and the bullpen didn’t blow it. But, not even an hour before game time, the Brewers made the inevitable move of trading Zack Greinke. Before we get to that, though, let’s talk about the bright side. Fiers evened his record at 4-4 (although it should be much better), and lowered his ERA to a rookie-leading 1.77. 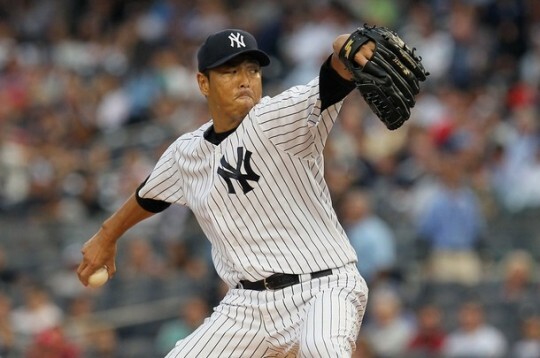 He went 6 1/3 scorless innings while giving up just four hits, all singles. He walked three and struck out nine. The offense, on the other hand, wasn’t bad itself. The Brewers got in the board in the fourth inning against Ross Detwiler on Corey Hart’s two-run home run. They then added four in the fifth on RBI singles by Carlos Gomez and Ryan Braun, and a two-run blast from Aramis Ramirez. The bullpen also finally didn’t blow a huge lead. Livan Hernandez got Fiers out of trouble in the seventh, and wound up going 1 2/3 scoreless innings. Jose Veras finished the game with a 1-2-3 ninth. > The Brewers did all this with a rather depressing cloud over their heads. About a half hour before game time, Jon Morosi reported that the Angels were extremely close to landing Greinke, and that held true. In return, the Brewers will receive three prospects: shortstop Jean Segura and pitchers John Hellweg and Ariel Pena. There were a multitude of teams in on the Greinke sweepstakes, including the Angels, Rangers, White Sox, and Braves. But, according to Doug Melvin, it came down to the American League West rivals, the Angels and Rangers. Supposedly, the Rangers were very interested in Greinke, but just weren’t willing to put together the prospect package. They didn’t want to part with prospects Jurickson Profar (shortstop) or Mike Olt (third base). The Brewers may have inquired on a package including Olt, but their main interest was starter Martin Perez, as I predicted. But the Rangers weren’t even willing to deal him, which makes me wonder how interested they actually were in acquiring Greinke. 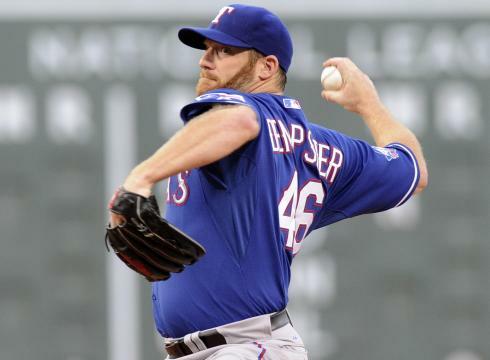 So now the tables are turned against the Rangers, as the rival Angels wound up grabbing him. Greinke will only improve a rotation that already features Jered Weaver, C.J. Wilson, Dan Haren, and the struggling Ervin Santana (who is typically good, he just hasn’t found it this season). The prospects the Brewers received are somewhat interesting. They were all ranked in the top ten prospects in the Angels’ farm system: Segura was #1, Hellweg #4, and Pena #9. But, keep in mind the Angels do have a rather weak system. Anyway, the Brewers may have solved their shortstop problem for the long-term in Segura, who is a threat on the bases. He was hitting .294 with seven home runs and 40 RBIs at Triple-A. You can also throw in his whopping 33 stolen bases (although you have to imagine the running game is easier in the Minors). Segura was with the Angels for a few days before the trade, but doesn’t have much Major League experience other than that. Hellweg and Pena are both Double-A pitchers. Hellweg supposedly has a great upside and Pena, along with Segura, participated in the Futures Game (basically a Minor League all-star game). At the same time, though, the Angels aren’t known for having much starting pitching depth, which is why they needed to go out and get Greinke. So we’ll see how they pan out. All three of these players were sent to Double-A Huntsville to “get used to the organization.” In Segura’s case, I was hoping he’d come straight to the Majors and fix our shortstop situation, but now the Brewers are talking like he’ll be a September call-up. I don’t really see the logic in that, but, at the same time, it’s not like we’ll be contending any time soon this season, so I suppose there’s no need to rush him. Farewell, Greinke. I wish he could have stayed longer, but the Brewers put themselves in the position to get rid of him. To me, Greinke was already gone a week ago, so I’m not going to lose sleep over this. But it’s still going to be different without him around. > Greinke was scheduled to start Sunday, but everyone knew he wouldn’t be making that start. Instead, Mark Rogers will come up and make the Sunday start. If you know Rogers’ story, you’d know it’s amazing that he’s made it all the way back after all he’s been through. Rogers only Major League time came at the end of 2010, when he put up a 1.80 ERA in four games. > And that’s about it. Tomorrow’s match-up is between Randy Wolf (3-6, 5.46 ERA) and Wisconsin native Jordan Zimmermann (7-6, 2.31 ERA), who is by far one of the most underrated pitchers in baseball.